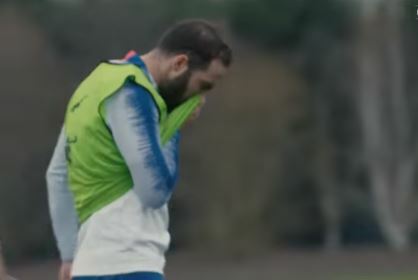 It’s the international break, so plenty of players are away, leaving the remnants to try and impress Maurizio Sarri at Cobham. Gonzalo Higuain doesn’t have to prove anything to his boss – the forward was brought in specifically at the boss’ request, and he looks like will be starting every game until the end of the season. So it’s good to see that, going by the evidence in this video from training this week, he’s in decent form. If his gaffer wants to survive till next season, his chosen one is going to have to bang in a few goals.